The Athlone District Schoolboy/Girl League and its member clubs are busy putting their finishing touches to preparations for the upcoming 2018/19 Season and are extending an open invitation for new young players to sign up and join the ADSL. The Athlone District Schoolboy/Girl League provides organised football for both boys and girls from ages from Under-6/7 right up to Under-14 in a safe, fun and learning environment. The benefits of physical activity and exercise for our children are more important in an increasingly sedentary world. Playing team sports and football develops a child’s social interaction abilities, teamwork skills and their physical and mental health also combating obesity and type 2 diabetes. It is also great fun! 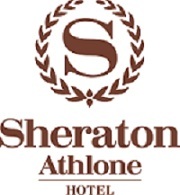 The ADSL and its member clubs have a proven record and well earned reputation for providing organised football for the young people of Athlone and its environs for more than forty years. The ADSL follows the FAI’s Player Development Plan with the implementation of a player-focused model based on enjoyment and skill development. All games up to Under-12 are non-competitive with no League tables and the emphasis on fun, participation and the development of the basic skills. Games evolve from 4 v 4 to 5 v 5 to 7 v 7 to 9 v 9 until first playing 11 v 11 at Under-13. There are also “Retreat Lines” to encourage the budding stars to play out and pass the ball while Roll On/Roll Off substitutions ensures equal playing time for all. There is also a strong emphasis on fair play and sportsmanship with Coaches encouraged not to direct play but rather to allow their players to express themselves and “let them play”. The ADSL is actually the smallest schoolboy/girl League in the country but has enjoyed success out of all proportion to its size. In the past 2017/18 Season the ADSL U-12’s won the national SFAI SUBWAY Plate Final while recently the ADSL U-11’s won the Boyne Cup. The ADSL also is a part of the FAI’s Emerging Talent Programme and operates ETP Squads at Under-11, 12, 13 and 14 years. In 2018 the ADSL U-14 representative squad represented Ireland in an international competition in Malta while in the last month ADSL U-12 and U-13 players competed in the English Super Cup in Manchester. The ADSL also runs a fantastic indoor FUTSAL Tournament over the New Year period which is one of the highlights of the season and it is intended to further develop and enhance FUTSAL across more age-groups over the coming season. The ADSL has eight member clubs each offering opportunities to all the young players in this region. The ADSL and its member clubs are all run by unpaid volunteers who generously give of their time, energy, experience and expertise to give the best opportunity to their young charges to be the best that they can be. All Coaches and officials receive training in Child Welfare, are Garda vetted and adhere to the FAI Child Welfare Policy and the Code of Ethics & Good Practice for Childrens’s Sport. The upcoming 2018/19 Season will also be the last full season before the transition to the new calendar season which is mandated by the FAI to commence in 2020. The ADSL and its member clubs would welcome your participation for the upcoming season. This will be the start of a great new adventure for player and parent alike. So, Get OUT THERE! TAKE PART! ENJOY! Join the ADSL. It’s a whole new ball game!